Casper (the good ghost) with his friend tries to finish "scare school". 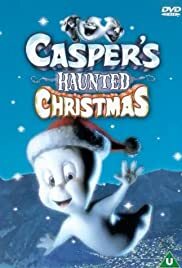 But in order to do so he need to scare people (which is against his nature) along the way Casper and friends goes through many mysteries and adventures. Eh, it's for the kids.